Over pacing break some people took the trainer aircraft out and tried to fly it. However, it was a windy day and they crashed it. During the crash the motor mount broke so now it is my job to fix it. Below is a picture of the broken motor mount. 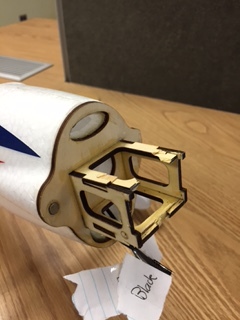 We noticed that every time the plane crashes it breaks the main motor mount first. We can not buy that section of the plane separately so I was given the task to make a new one so that we could fix it every time it breaks. I spent quite a while on it and was eventually able to come up with this model for it (shown below). 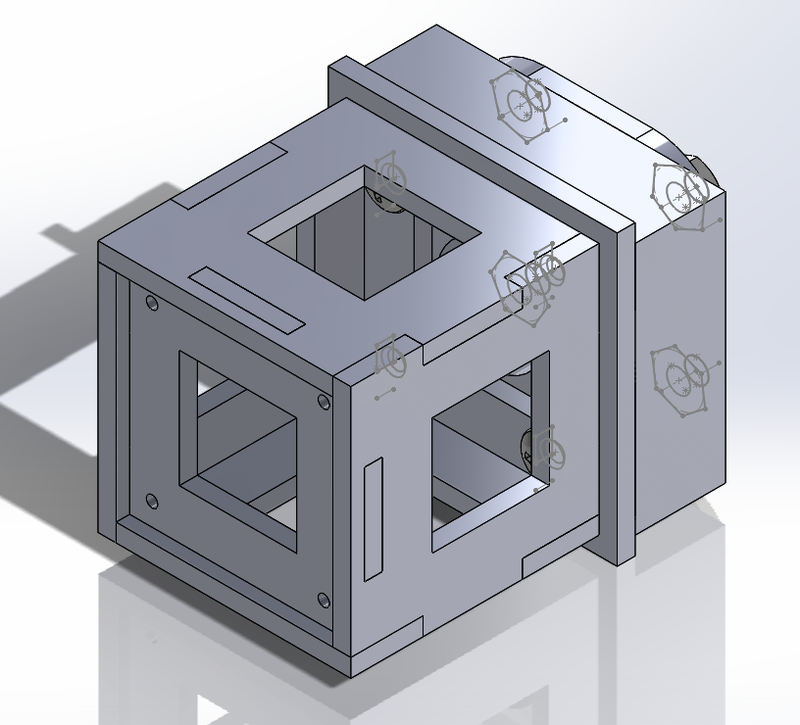 Right now the motor mount is just a Solidworks file but we are going to order the material soon and we hope to have the individual parts made from here at Lehigh. Once we have the individual parts, we can put the mount together. I will try to post a photo of the final mount in physical form when we get it done.